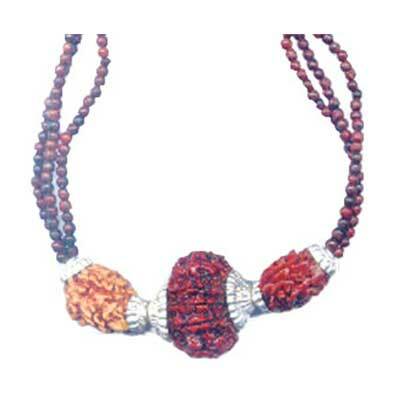 Introduction: This Rudraksh Kavach is very useful for solving the problems of people suffering from Kaal Sarp Evil in their horoscope. 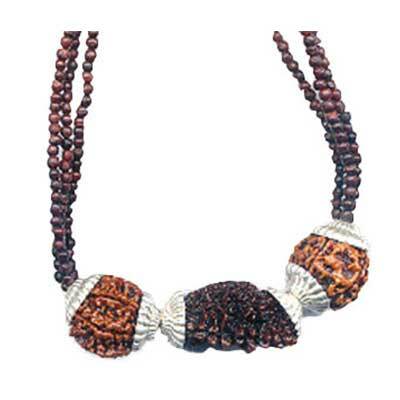 It is prepared by the combination of Eight Faced Rudraksha, One Faced Rudraksha (Cashew nut Shaped) and Five Faced Rudraksha. 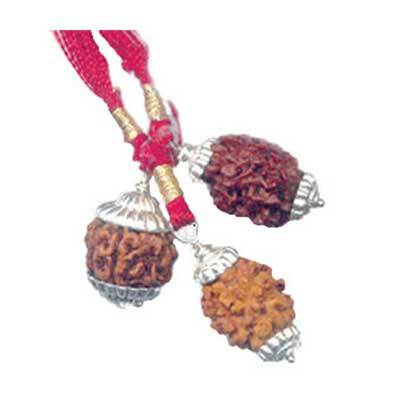 The Eight Faced Rudraksha symbolizes all siddhis and removes misfortunes caused by Ketu. 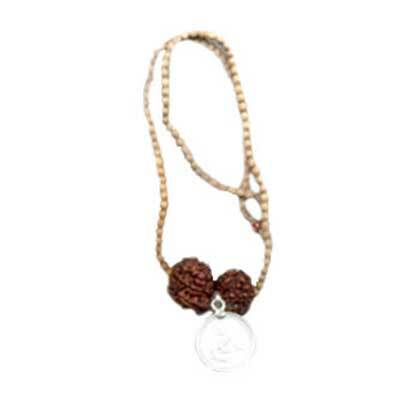 One Faced Rudraksha indicates Lord Shankar. 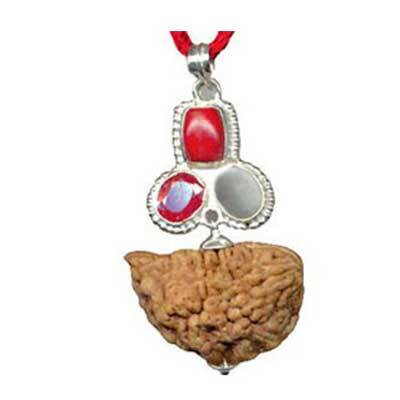 The Five Faced Rudraksha signifies Lord Hanuman and removes bad luck of Kaal Sarp Dosh.